Google Glass is here, folks, whether the world is ready for it or not. After sending out notifications to participants of the Glass Explorer program and then releasing a developer API, Google also pushed out a support page for Glass which included FAQ and official tech specs. From the beginning, we were curious as to what was packed inside this new wearable tech. The mystery is finally over with. The device itself has a “durable frame” that “fits any face” and includes adjustable nosepads. The display is considered “high resolution” that is the equivalent to a 25″ HD TV being viewed at eight feet away. The camera features a 5MP sensor that can record 720p video. Audio is taken care of by a Bone Conduction Transducer. There is 16GB of internal storage, though only about 12GB is usable. A typical battery charge should get you through an entire day as long as you aren’t spending extra time video recording or participating in Hangouts. 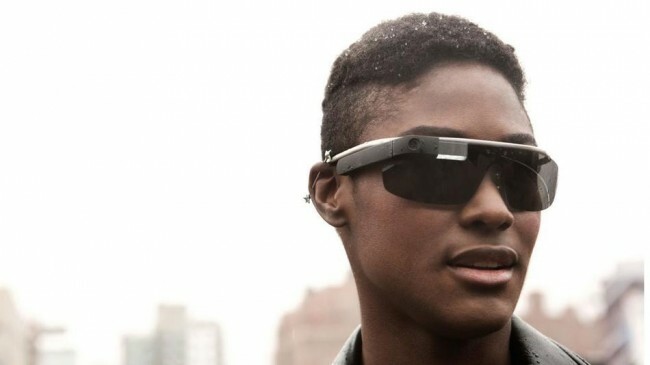 Google Glass should work on any Android device running 4.0.3 or higher and that has Bluetooth. Fit: Adjustable nosepads and durable frame fits any face; Extra nosepads in two sizes. Display: High resolution display is the equivalent of a 25 inch high definition screen from eight feet away. Storage: 12 GB of usable memory, synced with Google cloud storage. 16 GB Flash total. Battery: One full day of typical use. Some features, like Hangouts and video recording, are more battery intensive. Charger: Included Micro USB cable and charger. While there are thousands of Micro USB chargers out there, Glass is designed and tested with the included charger in mind. Use it and preserve long and prosperous Glass use. Compatibility: Any Bluetooth-capable phone; The MyGlass companion app requires Android 4.0.3 (Ice Cream Sandwich) or higher. MyGlass enables GPS and SMS messaging.